2.0.0.1 There were some important reforms that took effect in 2004 that reduced rates and also banned insurance coverage denial based on the following factors. 7.0.1 In case you get into a collision while driving without valid car insurance then the following may also apply to you. 11.0.1 The major focus of this safety plan is to implement the network for provincial road transportation as follows. It is mandatory to have active car insurance coverage to own and drive a vehicle in Newfoundland. The provincial car insurance industry is private and is not funded by the government. There have been some auto reforms in 2004 that have driven down the cost of car insurance. So, when compared to other provinces it is relatively cheap to buy car insurance in NL. There is a wide range of more than about 50 insurance companies that sell car insurance. Consumers can choose their provider based on coverage, service level and cost. In NL one can sue under loss caused by pain and suffering for huge amounts. This meant that even if the victim suffers only minor injuries the awarded amounts for such a claim was for large sums. This drove up the insurance costs and that caused the province to bring auto reforms in 2004. The deductible is $2500 for claiming for this loss. The Insurance Bureau of Canada is looking to have more reforms to combat the issue of large claims. The auto insurance price rates are set by private insurers in NL. These rates are then reviewed. They are approved by the Newfoundland and Labrador Board of Commissioners of Public Utilities. 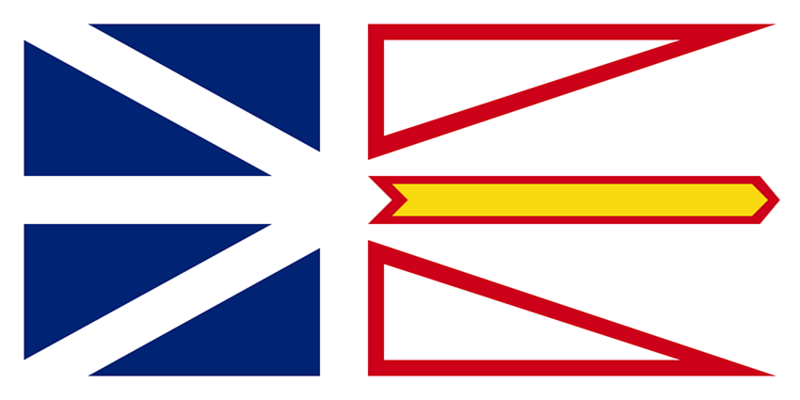 All legal matters and disputes related to insurance are regulated by Service NL. This is done under the guidance of Superintendent of Insurance. There were some important reforms that took effect in 2004 that reduced rates and also banned insurance coverage denial based on the following factors. The insurance system followed in NL is different from other provinces in Canada. It is based on tort system. This allows a victim to sue a driver who is at-fault for pain and suffering related losses and damages. There is no provision for no-fault benefits and the insurer of the faulty party has to pay out the claim. They have to pay for damages to the victim’s car and for injuries caused due to the accident. In NL it is not mandatory to have accidental benefits coverage. Most drivers prefer to buy this as an optional coverage from their insurer. In the event of a collision, a police report is required to be filed if the property damage or injury losses are more than $1000. All claims regulation is handled by the provincial government as per Insurance Act. The licensing program in NL is on a graduated basis spanning up to 24 months. This period could be reduced by 4 months if the driver enrolls in an approved driver training program. It is necessary to attain the age of 16 years to apply for Class 5 Level I learner license. After 12 months of Level I the learner can get a novice Level II license. A full unrestricted NL driving license will be issued after driving for 12 months with Level II license. Has to be accompanied by a Class 5 licensed driver with 4 years driving experience. The learner and accompanying supervisor must have BAC level of 0. No permission to drive from 12 midnight to 5 in the morning. A full licensed experienced driver must supervise while driving between 12 midnight and 5 in the morning. The only exception is for work and has to be proven if pulled over by a peace officer. BAC level should be 0 for novice and supervisor driver. Passengers equal to the number of working seat belts are allowed. Residents moving into NL have to register their car within 30 days and could exchange their license within 90 days. You are allowed to drive for a maximum of 3 months if you are a visitor aged more than 16 years with a valid inter-jurisdiction license. Car insurance is mandatory in NL to operate a vehicle on the roads and has 2 mandatory coverage levels. It is not required as per law to have accidental benefits coverage. The province recommends having optional accidents benefits and higher liability coverage. The following are the mandatory coverage required in NL. Third Party Liability (Section A): This coverage provides protection against damages caused to a third party due to negligence for death, injury or property damage. It is mandatory as per law to have a minimum coverage level of $200,000. If the car is leased, this limit may have to be at least $1,000,000. It is not possible to register a car without valid minimum liability insurance. Uninsured Automobile Coverage (Section D): The coverage protects against losses due to injury to you or passengers caused by an accident with a faulty uninsured driver. This will also cover for damages to the car if the uninsured driver can be identified. It is advised to purchase optional insurance coverage for collision and comprehensive along with mandatory coverage. Accidental benefits coverage (Section B) is purchased by most drivers to cover against potential losses up to the limits as below. Disability Income: Can be claimed up to $140 per week for a lifetime in cases of total disability and up to 104 weeks in case of partial disability. Housekeeping: Expenses for housekeeper can be claimed for up to $70 per week for a maximum period of 12 weeks. Death: An amount up to $10,000 could be claimed if the household head dies and each dependent survivor could claim for $1000. The limit to claim for spousal death is $10,000 and dependent death is $2000. As per law, driving in NL is prohibited without active insurance coverage. If you are caught driving without insurance you may have to pay for fines ranging from $5,000 up to $50,000. You may also face suspension of driver license and impoundment of vehicle for 90 days. This would also class you as a high-risk driver. If convicted for driving without insurance your insurance premiums may rise. In case you get into a collision while driving without valid car insurance then the following may also apply to you. You may be denied accident benefits towards loss of wages, medical bills etc. It may not be possible to sue an at-fault driver for any injury claims. The medical costs for injuries to the other party and losses for property damage would be your responsibility. Driving under impaired conditions is strictly prohibited in NL and attracts penalties. The following penalties would apply if a novice driver gets caught driving with BAC more than 0. First time offender Gets the driving license suspended for 2 months. Second-time offender: The driving license is suspended for 4 months and the driver has to complete the Think First alcohol education program. Third-time offender: There could be a 6-month suspension of driving license and it is mandatory to get assessed for dependency on alcohol or drugs. If someone is killed or injured the penalties would be harsh and involve conviction too. Jail time may also apply when caught driving under impaired conditions many times as follows. In 2010, the NL traffic legislation had been many changes. These legislations reduced instances of distracted driving and improved road safety. The police could stop drivers to check for impaired conditions, insurance validity etc. Increased the period of license suspension for impaired driving. For BAC above 50 mg, this changed from 24 hours to 7 days. Repeat offenders may face 14 days suspension. Accompanying supervisors for novice drivers could have only 0 BAC and not more. When driving, the texting and use of cell phones is banned. It is also prohibited to operate GPS devices while driving in NL. If convicted doing so the fines would range from minimum $100 to $400 and 4 demerit points on license. Newfoundland has a demerit point system to monitor drivers and enforces traffic rules. The NL road safety department has proposed a set of courses that could improve the driving skills for the safety of all road users as below. Defensive Driving: This course trains drivers on defensive driving technique and the course duration is for 6 hours. Professional Driver Improvement: This programs trains heavy vehicle drivers on defensive driving techniques and is for 6 hours. Point Reduction: This program helps to cut down up to 4 demerit points. In addition, there were some conditions too. The duration is for 6 hours. Graduated DL: This program includes class and car instruction contents to train drivers aged 16 years or more. Motorcycle Training: This is a 25 hours course to train motorcyclists for safe riding. School Bus Driver: A 6-hour course also was designed to train school bus drivers to be aware of hazards while operating in school environment daily. Responsible Driver Workshop : This is a mandatory course. It is for drivers who got many demerit points and suspension of their driving licenses. The course lasts for 8 hours. 55 Alive/Mature Driving: The refresher course is to train mature drivers to adapt well with the changing road traffic and driving conditions. Think First (Alcohol Education Course): This program is for 4 hours. It is mandatory for drivers who had three or four license suspension for 24 hours. Or one conviction for impaired driving in 2 years. Alcohol Assessment/Rehabilitation: The program is for drivers who had 5 or greater suspensions for 24 hours in 2 years. Or two impaired driving convictions in 5 years. The Department of Transportation and Works is responsible for maintaining reliable and safe transportation in NL. The Minister for transportation appointed a special committee and this was to propose a traffic safety plan for NL. This plan spanned over a period of 3 years from 2014 to 2017. The safety plan closely monitors traffic issues. There is a strategy to combat road safety problems. The committee functions as a forum for receiving feedbacks about issues and advising the government on the transportation policies and programs. The major focus of this safety plan is to implement the network for provincial road transportation as follows. Maintenance of about 9,800 km of primary and secondary highways and community roads for safe summer and winter driving conditions. New roads and improvement projects had a budget of $205.6 million. This was for better road structure and designs during the years 2013 to 2014. A contract with Parks Canada for clearing snow in winter throughout NL spanning about 73 community groups. The province would have 28 traffic cameras located on sites. These cameras were to provide images for improving driving conditions. Purchase of salt and sand for health authorities, school zones, 159 town councils and other entities for better preparation of roads for harsh winter conditions. Projects for better road safety received more provisions. Most of all, before the safety plan strategy, the province had invested in Trans-Labrador Highway for an estimate of more than $500 million over the years. This resulted in paving 463 km of highway roads. The province and traffic partners have continued efforts to sustain the growing transportation networks and community access roadways.